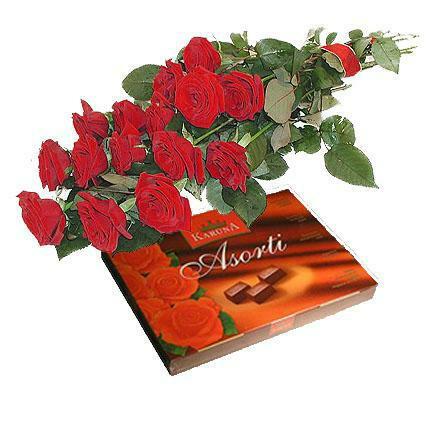 Roses and a large (more than 260 g.) chocolate box. *** The weight of the present chocolate box is more than 260 g.
*** You can choose the color of the roses (specify in the additional requests, information).Without this, red roses will be delivered !!! * marked fields must be filled in!